It's easy to go overboard with sweets during the holiday season. But overconsumption of sugar, month after month, can jeopardize your oral and general health. A sugary diet nourishes the bacteria that cause tooth decay. 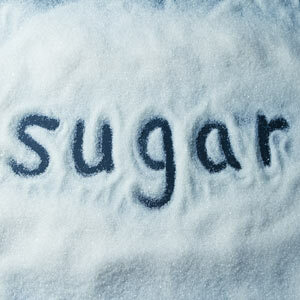 Eating too much sugar over time also promotes general health problems such as diabetes and excessive weight gain. Ketchup. Do you like ketchup on your burger and fries? For every tablespoon of ketchup you use, you'll be adding about 4 grams of sugar (one teaspoon). That can add up pretty quickly into a significant amount of sugar! Canned tomato soup. Read the label of your favorite brand and you might see as much as 12 grams of sugar per half-cup serving. That equals three teaspoons of sugar in every half cup of soup—even more in a full bowl! Granola. You may think of granola as a healthy choice for breakfast. Yet you're likely to see sugar listed as the second ingredient on many favorite brands—right after oats. This typically adds up to 15 grams of sugar per serving. That's almost 4 teaspoons, in a food promoted as healthful! Yogurt. Here, the amount of sugar varies widely among brands and flavors. One container of vanilla yogurt might contain 3 or more teaspoons of added sugar. Put that on a breakfast serving of granola, and your first meal of the day has already topped the 6-teaspoon daily limit recommended by the World Health Organization.